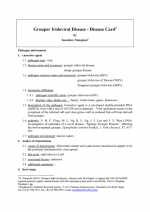 Acute hepatopancreatic necrosis disease (AHPND) has recently been found to be caused by a pathogenic strain of Vibrio parahaemolyticus. 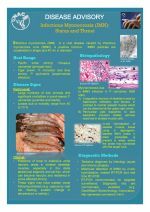 This updated disease card provides a summary and guidance on disease signs at the pond level, at the animal level by histopathology, molecular diagnostic tools, host range, presence in Asia-Pacific, prevention and control and links to further information. Since the Asia Pacific Emergency Regional Consultation on EMS/AHPNS held in August 2012 in Bangkok, Thailand, many news reports have been widely circulated that have led to various baseless speculations and conclusions on the true nature of AHPNS. 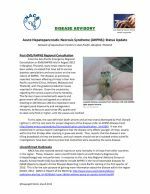 This disease update/advisory has been issued to address the many circulating false and baseless speculations on the effects and spread of AHPNS in the region. 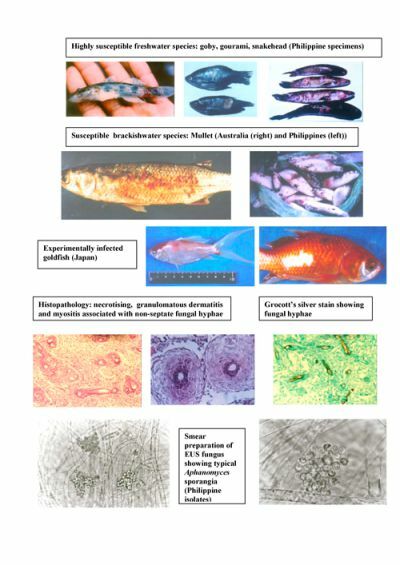 In the absence of identified biotic or abiotic cause(s) of the syndrome, this disease card provides information on signs that can be used for presumptive (pond level) and confirmative (animal level) diagnosis of acute hepatopancreatic necrosis syndrome of shrimp. The syndrome involves mass mortalities of up to 100% during the first 20-30 days after stocking. 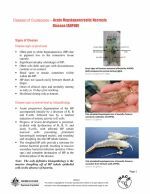 Affected shrimp consistently show an abnormal hepatopancreas, which may be shrunken, swollen or discoloured; loose shells, corkscrew swimming, pale colouration and slow growth. Infectious myonecrosis is a viral disease caused by infectious myonecrosis virus. 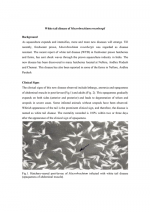 It affects Pacific white shrimp Penaeus vannamei, tiger shrimp P. monodon and blue shrimp P. stylirostris. IMN is associated with heavy losses in farmed shrimp of 40-70%. Originally reported from Brazil, outbreaks were first reported in Indonesia in May 2006. With the current spread of the disease there is a high threat of the disease spreading to neighbouring P. vannamei-producing countries. Acute viral necrosis in scallops was included in the list of Qquarterly Aquatic Animal Disease (QAAD) reporting list for the year 2008. The disease card developed by regional resource experts from China in support of QAAD reporting system in Asia-Pacific provides information on pathogen, hosts, and confirmatory diagnostic methods. This is an emerging disease in the region and has caused significant losses to scallop culture industry in China. 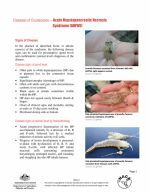 During 2002, slow growth of farmed Penaeus monodon was reported throughout shrimp growing areas of Thailand and figures indicated that annual production volume was reduced by approximately 36%. The cause of this slow growth was not determined but laboratory trails suggested that a filterable infectious agent was involved. 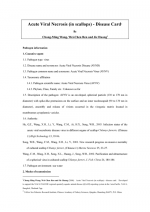 Injected extracts affected P. monodon but not P. vannamei. 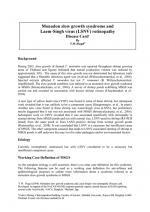 The slow growth condition was referred to as monodon slow growth syndrome or MSGS. This disease card provides an overview. This information sheet provides an explanation and background information on Specific Pathogen Free organisms. 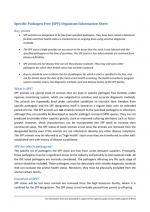 Key points include that SPF animals are designated to be free from specified pathogens, only. The SPF status simply provides an assurance to the buyer that the stock is not infected with the specified pathogens at the time of purchase. The SPF status is lost when animals are removed from biosecure facilities. White tail disease in Macrobrachium rosenbergii is emerging as a serious problem in the region. Two viruses, M. rosenbergii nodavirus (MrNA) and extra small virus (XSV) have been found to be associated. The role of MrNV and XSV is not yet clear. Considering the economic impact and potential for the disease to spread, white tail disease (MrNV and XSV) has been listed under non-OIE listed crustacean diseases relevant to the region and NACA/FAO/OIE Regional QAAD list. Recognising the importance of iridoviral disease, in terms of its potential to spread and cause economic loss, grouper iridoviral disease was included for listing in the quarterly aquatic animal disease (QAAD) list under any other diseases of importance effective for reporting from first quarter of 2003. This disease card is developed to provide information to national authorities and support the regional NACA/FAO/OIE QAAD reporting system. 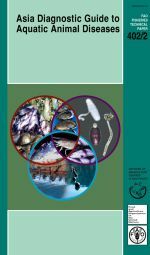 The Asia Diagnostic Guide to Aquatic Animal Diseases or ‘Asia Diagnostic Guide’ is a comprehensive diagnostic guide in support of the implementation of the Asia Regional Technical Guidelines on Health Management for the Responsible Movement of Live Aquatic Animals. 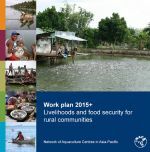 It was developed from technical contributions of members of the Regional Working Group and Technical Support Services and other aquatic animal health scientists in the region and outside who supported the Asia-Pacific Regional Aquatic Animal Health Management Programme.